This post explains how to use Blog This! Google Chrome Extension. Before going to read this post just go through the Blog This! 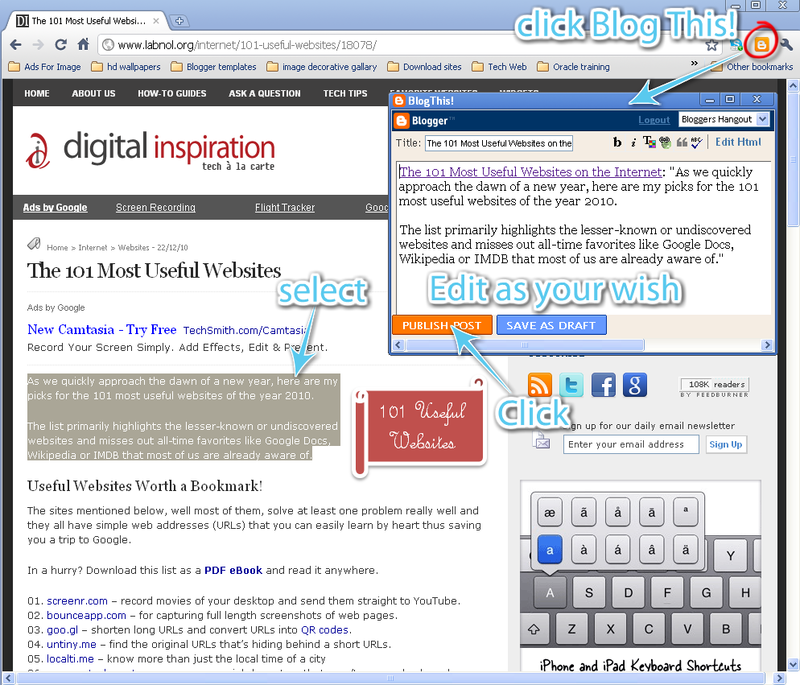 Extension Makes Blogging Easy. After reading that post come back to this post and read further so that you can understand the usage of Blog This! Chrome Extension. Open any web page in Google Chrome web browser. Click Blog This! 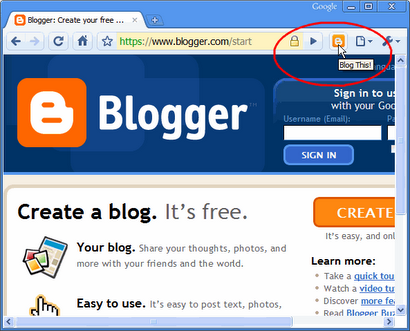 icon or button on google chrome toolbar to open Blogger in a new application window. The new post is pre-populated with a link to the web page you are on, as well as any text you have selected or highlighted on that web page as shown in the screenshot. 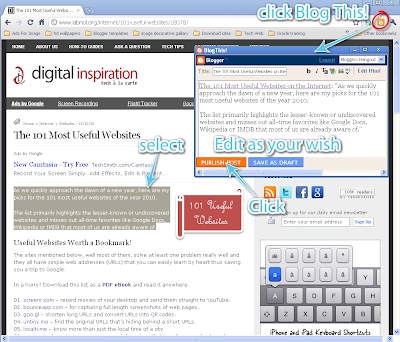 How To Use Blog This! Click the screenshot to view in original resolution. And just edit the post as your wish and publish post instantly to your blog. Share comments on "How to Use Blog This! Google Chrome Extension". It makes us feel happy and write better.